Schema is the fastest loading, ultra-SEO friendly WordPress theme that features rich snippets in order to help search engines identify all parts of your site and rank you higher. Purple theme works on NLA principles and uses the perfect color to give your website the fame and efficiency it so deservingly needs. A perfect WordPress theme for Lawyers that not only loads fast but actually helps you generate more leads and convert more prospects. Use any WordPress Page Builder you like to customize your pages and create any look you like for your pages. Add flair to your website with Risen's attractive, SEO-friendly, performance-oriented elegant design and layout. Reactor theme comes with special characteristics for fast loading, SEO-friendly, beautiful looking, viral content websites. Magnus is an intuitive theme that is conceived conceptually and visually polished to make your blog stand out. Seekers theme is the only premium WordPress theme you need to make a beautiful, attractive and effective website. Its code is precise and loads fast, too fast. Cyprus is the perfect theme for creating a branded website. It loads fast and has the perfect ingredients for creating a unique looking website. WP Shortcode Pro is a WordPress plugin that will supercharge your blog posts & pages. Thrown out the ancient methods of dabbling in code or finding multiple plugins, and replace them all with the only plugin you need, WP Shortcode Pro. With 80+ shortcodes and innovative features like creating your own shortcodes, WP Shortcode Pro is the first and last plugin you will need to style your website's posts and pages and build amazing landing pages & beautiful posts. Create reviews! Choose from Stars, Percentages, Circles or Points for review scores. Supports Retina Display, WPMU & Unlimited Color Schemes. Crypto is a functional theme explicitly designed for cryptocurrency blogs. Its unique set of features help cryptocurrency bloggers cover the fast-changing world of cryptocurrencies. It's a fully optimized theme with SEO benefits, fast load times, multiple user interface options, and multiple monetization options. WP Real Estate Pro is a powerful plugin that transforms any website into a fully functional real estate website. It’s fast, secure, and boasts a long list of useful features. It’s the best solution to create real estate websites for all professionals. Lifestyle is an elegant multipurpose magazine theme that is designed with stylish content and image layouts. 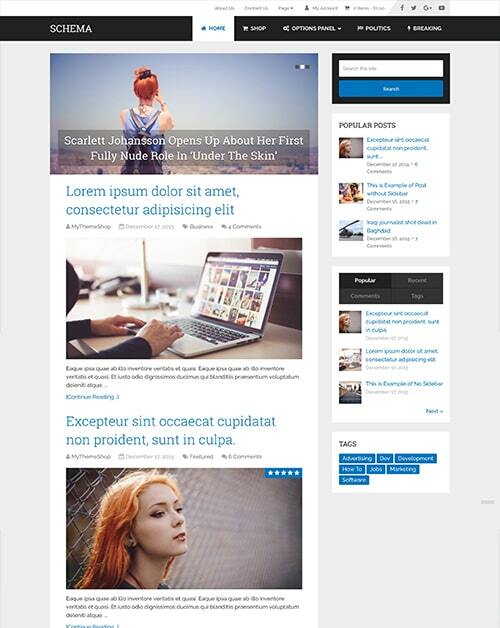 It has three header and post layouts that are highly customizable. It has optimal performance and fast loading speed. It is ideal for AdSense sites and supports other monetization methods. WP Real Estate is a 100% free real estate plugin that is ideal for building a professional property listing website. It's a brilliant solution for real estate brokers, agents and property owners who want to build a professional realty WordPress site. Bridge is a beautiful, multipurpose WordPress theme that’s designed with multiple layouts, fast-loading speed, optimal performance and several premium features. It is ideal for various niches like viral, health, technology, sports, blogging & much more.